Shipping Rules for Magento 2 by Mageplaza is the wise solution for online stores to create unlimited shipping rates following specific rules. This is the supportive tool to help store owners adjust shipping cost suitably and fairly to particular situations. 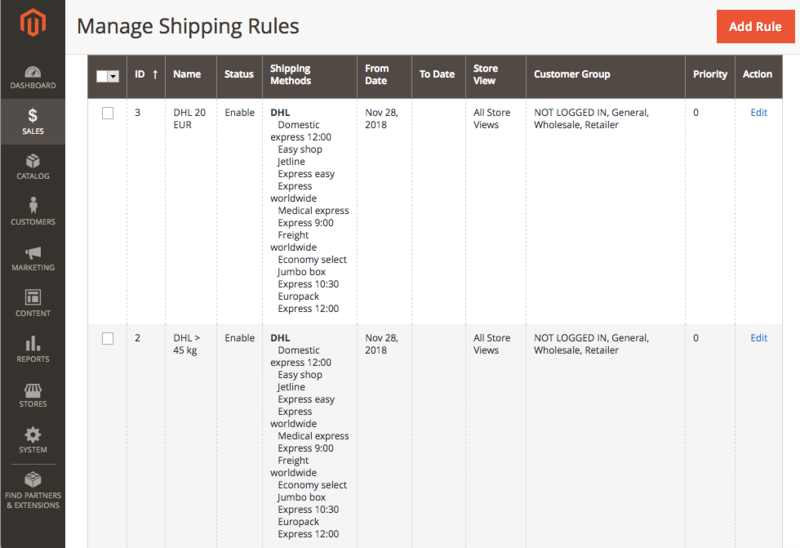 Shipping Rules extension by Mageplaza is the proper solution to create unlimed shipping rules to meet the specific expectation of store owners. 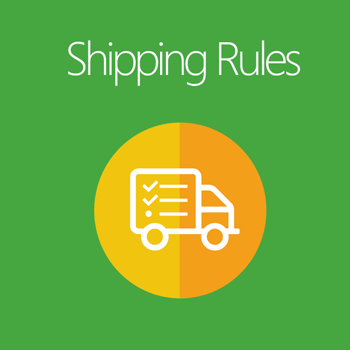 The most noticeable feature of Shipping Rules is creating rules without limitation then apply them to specific shipping methods from DHL, Federal Express, Flat Rate, Best Way, Free Shipping, United Parcel Service, United States Postal Service. 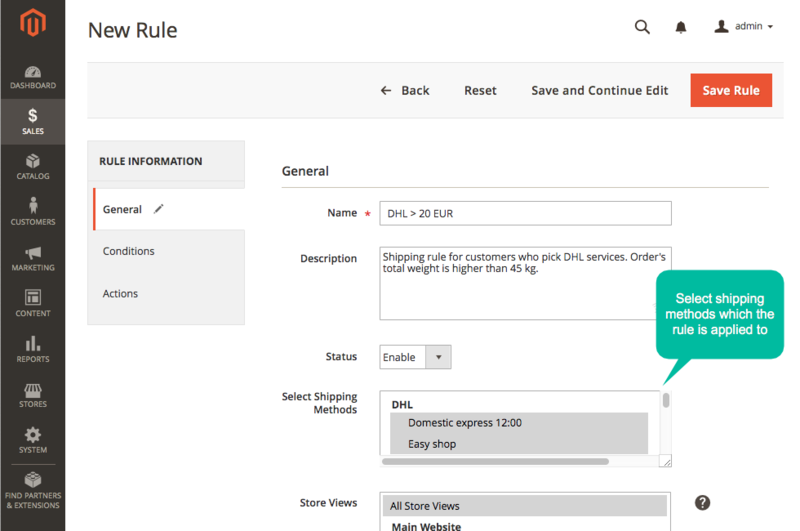 A new shipping rule will be set depending on the new conditions and the selected cart price rules which are already configured. 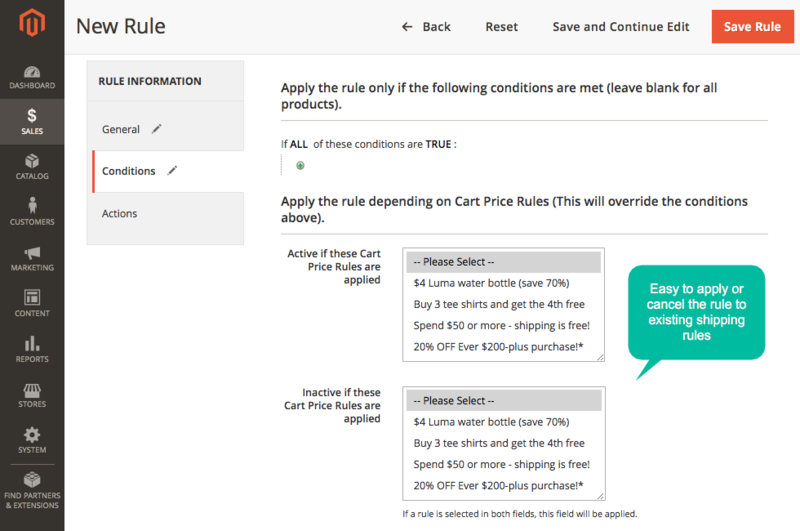 Depending on the application of cart price rules to customers’ purchasing, the new conditions for the shipping rule is activated or not. The conditions can be product attributes combination, products subselection, condition combination. For example, a shipping rule is applied for the carts whose shipping country is Vietnam and total weight is 30 kgs. When customers’ purchasing meet the activated conditions, there will be following actions accordingly. The configuration of action for shipping rule will determine the shipping rates counted for customers’ order. 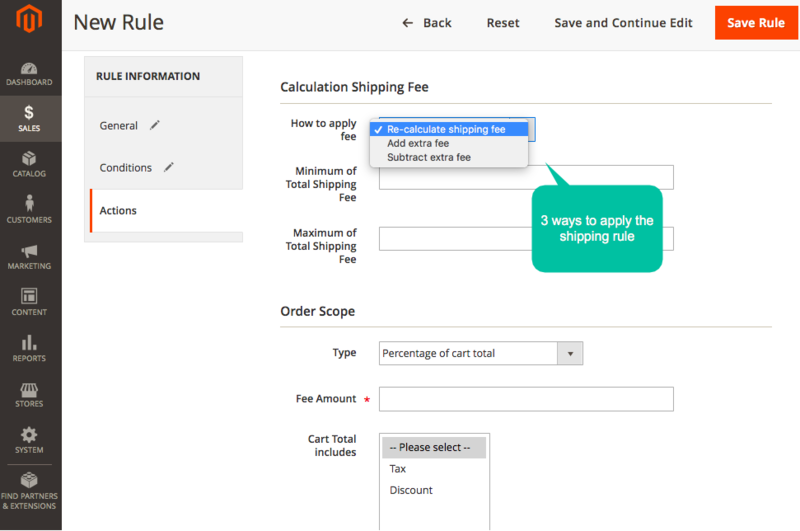 A shipping rate can be set the specific valid time to apply for the customers’orders. 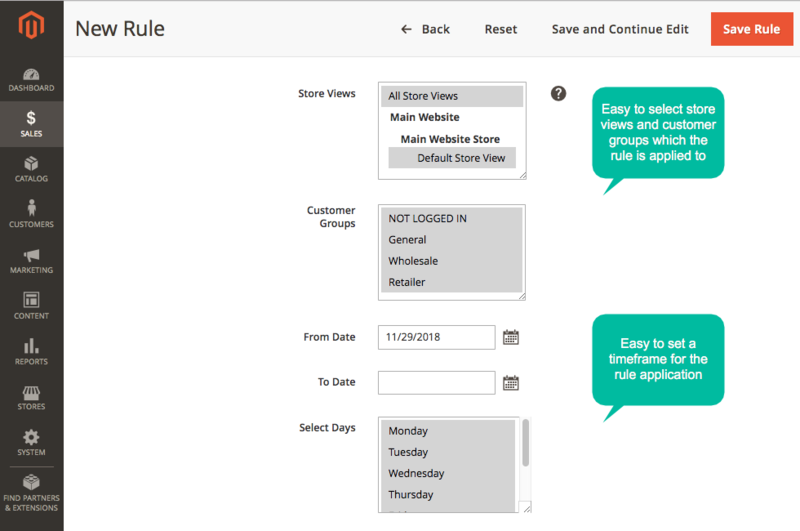 From the admin backend, admins can define the date, days and time for each rule, then the rule will automatically activate during the valid period. This feature is really helpful in the cases that the stores are running promotional campaigns (for example, the same shipping fee 5$ for every order in Black Friday season) or in the peak shopping season. 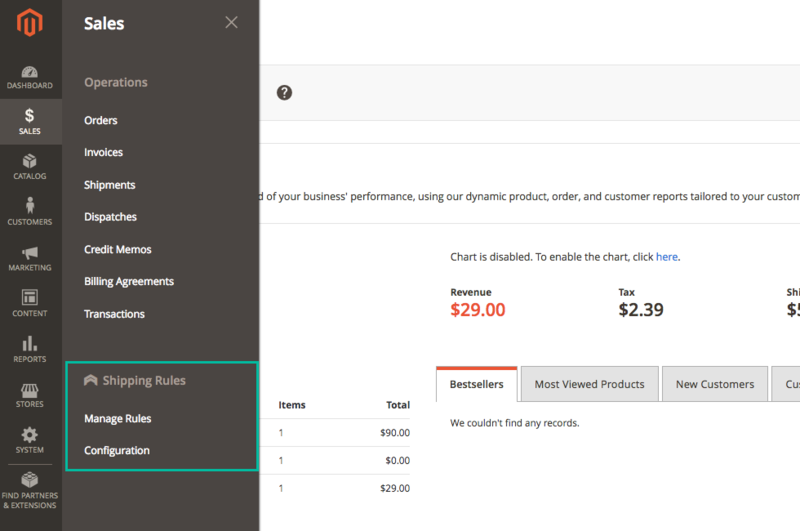 The shipping rates can be set to be visible depending on store views (All store sites or specific store sites), and customer groups (General, Wholesale and Retailer). 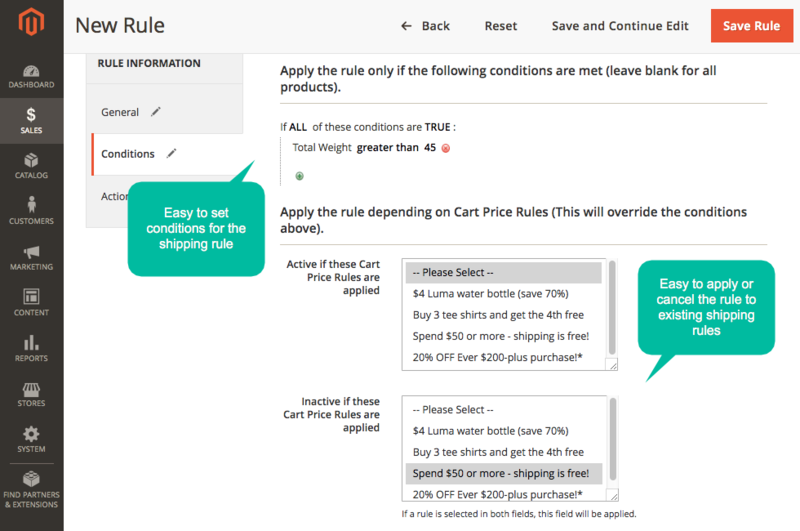 This feature brings the flexibility for store owners in case they would like to appoint the particular shipping fees strategy to the specific targeted groups. 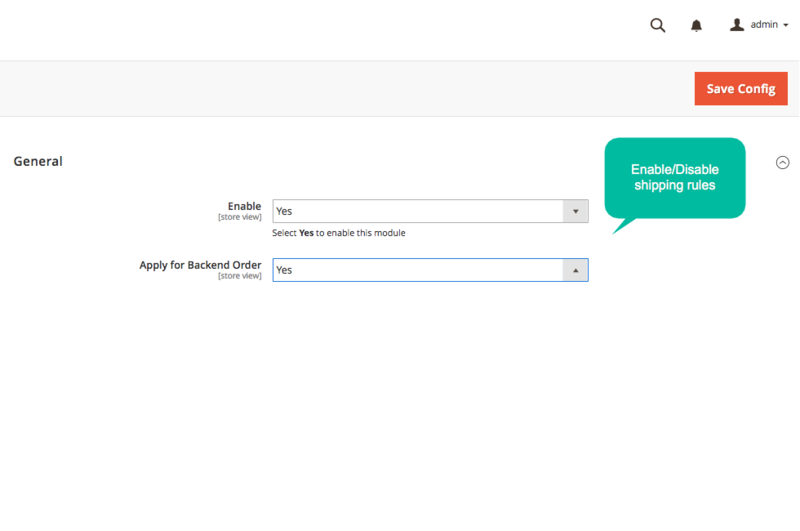 Set the limitation amount frame for shipping fee total from the backend. 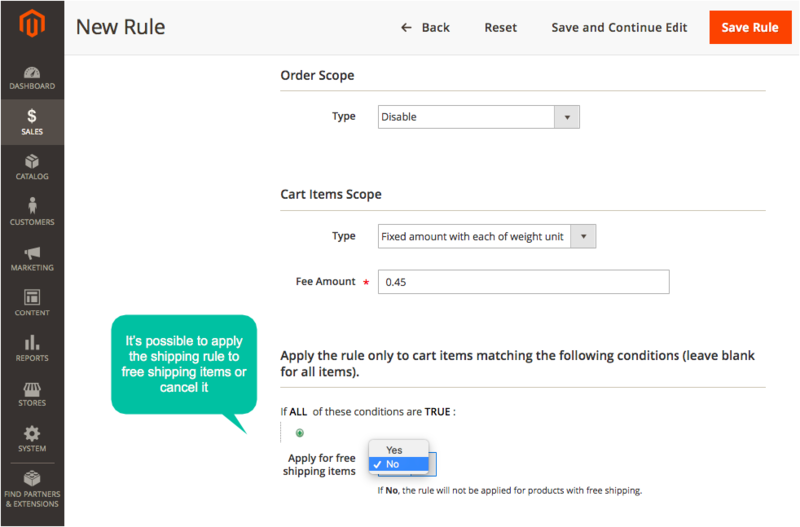 Allow/ Disallow to apply cart item rule to free shipping items. 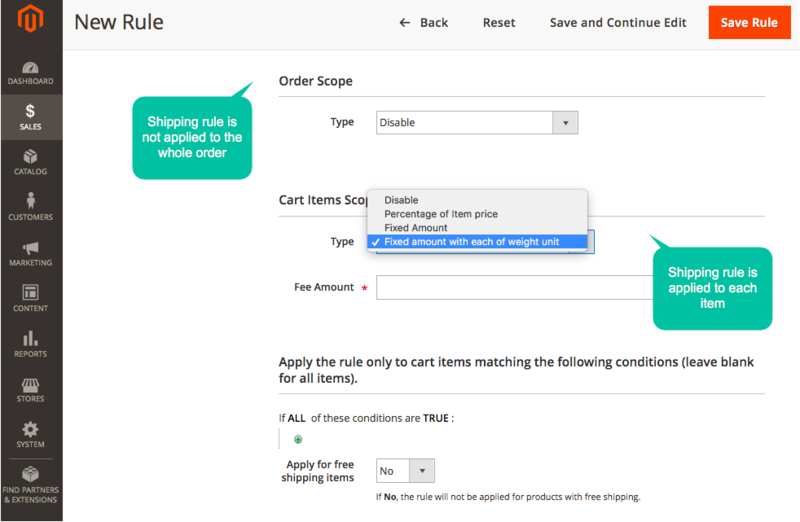 Shipping fee is calculated depending on the weight of items. 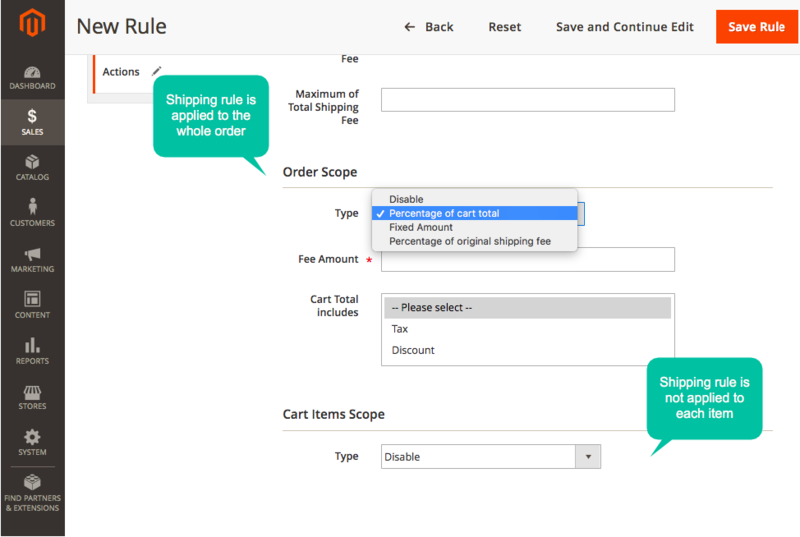 Enable to include tax and/or discount on the cart total.